ALLEGRA BOVERMAN/Staff photo. Cape Ann Magazine. 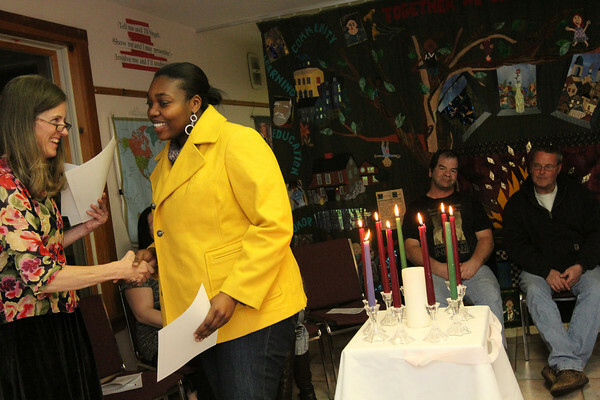 Gloucester: Tasha Walker, center, a graduate of the Wellspring House Adult Learning Initiative Program, receives her certificate from Holly Waite, the career and education advisor, far left, during the graduation ceremony on Wednesday evening.